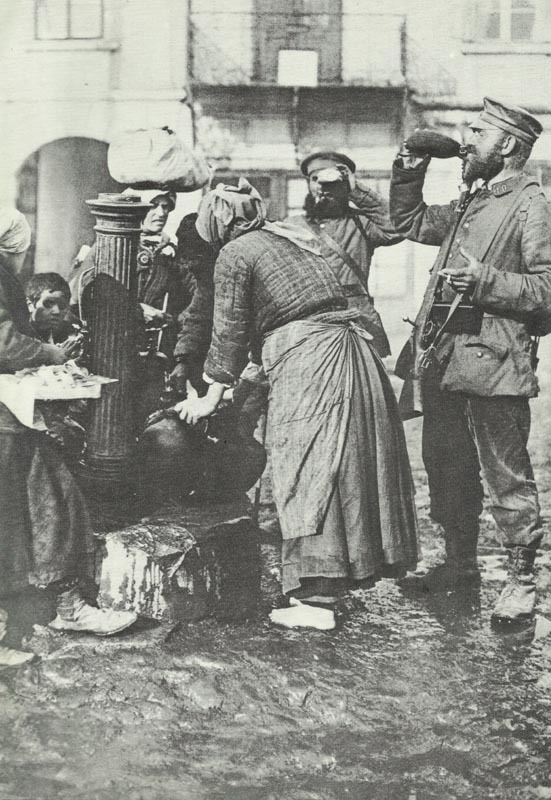 German soldiers at the fountain in a Serbian city. The ever further extension of the theaters of war led them to places that they might have hardly been known from hearsay before. Serbia: Germans troops link with Bulgars south of Danube. Isonzo: Italians capture Globna and Zagora but lose latter. Western Front: Observer Lt Hallam, hit in hand, lands a 10 Squadron BE2c after pilot uncon­scious from Fokker E attack. Britain: Asquith letter to Tory Lord Selborne predicts Field Marshals French’s replacement by Haig.